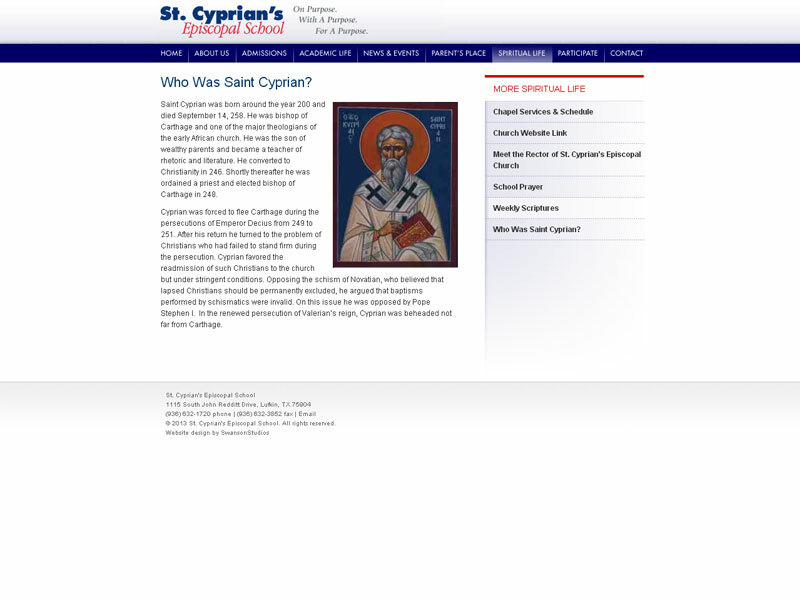 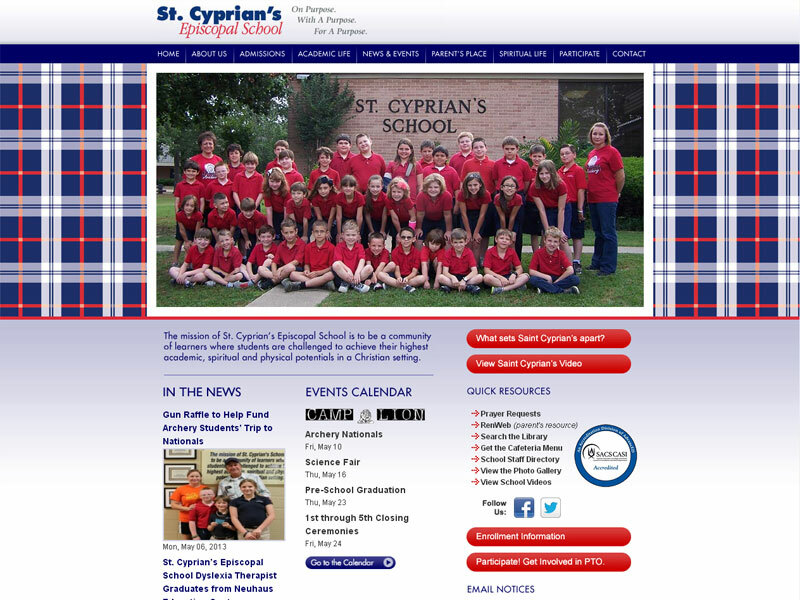 Saint Cyprian's Episcopal School is a private school in Lufkin, Texas that approached SwansonStudios to update their website. 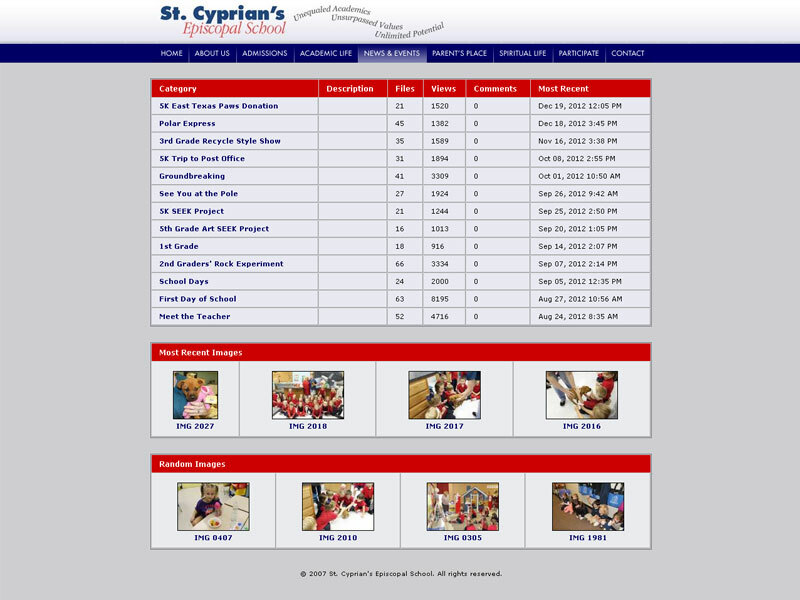 Top priorities were a place to share their school newsletter, keep an online calendar of upcoming events, and create a resource where parents could interact more closely with the school. 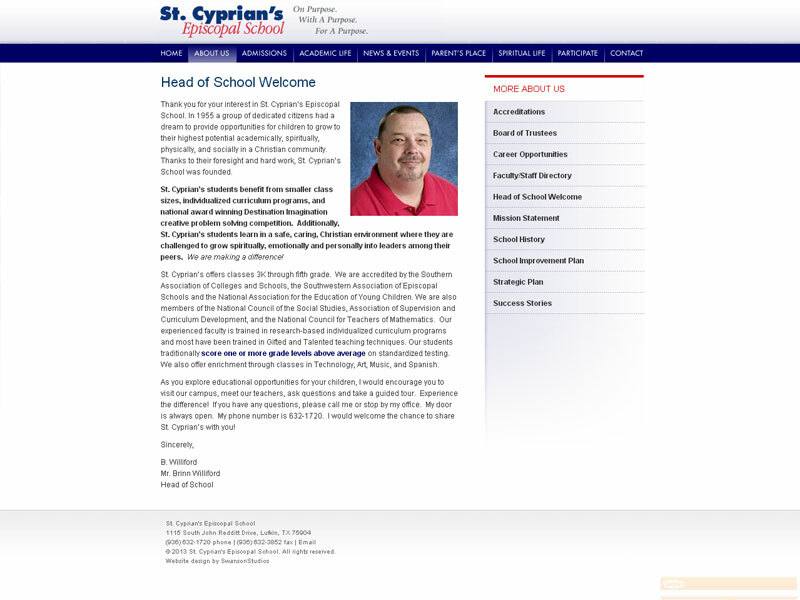 We were happy to fulfill these needs and more through creating their extensive new website around a content management system they now use to update the website themselves.